Don't panic if you're locked out of your car. When you need vehicle lockout service, we provide prompt and dependable assistance. At Recovery 1 Towing LLC, we offer automotive locksmith services that are very effective, which means we know how to unlock all types of vehicles without causing any damage to the body or internal locking mechanism of your vehicle. Our company provides the most affordable and timely lockout services in Upper Marlboro, MD, and the surrounding areas. Nobody every intentionally locks themselves out of their own vehicle, but it happens to people every day. The good news is our towing company is here to provide emergency lockout services and other types of roadside assistance whenever you need us. As a full-service towing company, we make roadside assistance just as much of a priority as our actual towing service. You can turn to our company for auto locksmith services for cars and trucks of every kind. No matter what type of locking system you have, we know how to get your car or truck unlocked quickly without causing any damage. The next time you lock your keys in your car, don't panic. 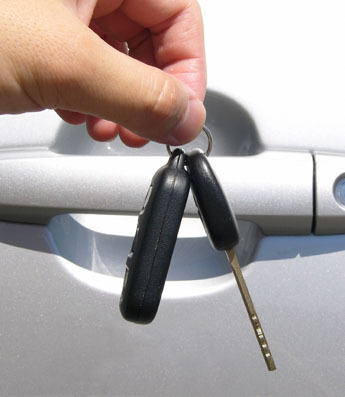 Simply reach out to our vehicle lockout service for immediate assistance. We are here to help with any of your automotive problems, whether it involves unlocking your vehicles or changing your tires. If the mechanical problems are too severe, we will tow the vehicle to a local auto repair shop. Look to us for dependable towing and roadside assistance—we make it a point to always be there when you need us most. Almost everyone has locked their keys inside of their car on accident at some point. It is incredibly inconvenient, and can sometimes have serious consequences, such as being late for work. If you ever find yourself in this situation, you should turn to a vehicle lockout service that responds quickly and knows what to do. Our company provides emergency lockout services 24 hours a day, 7 days a week. We act quickly because we know you do not have time to wait around to get where you need to go. Another reason to turn to us first when you lock yourself out of your car is our competitive rates. Our towing service offers lockout services at a fraction of the price of a full-time locksmith. We make it our obligation to provide the most reliable services while still maintaining our affordable rates. Contact us today with any questions about the locksmith services you need. We proudly serve Upper Marlboro, Landover, Brandywine, Shelton, and Bowie, MD, as well as the surrounding areas.